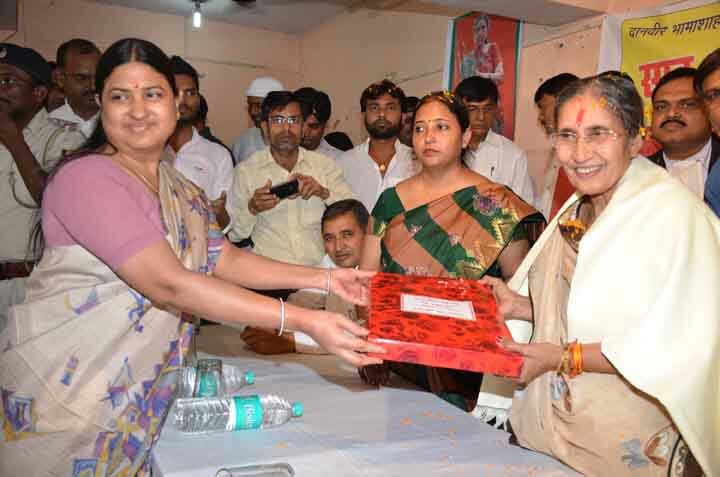 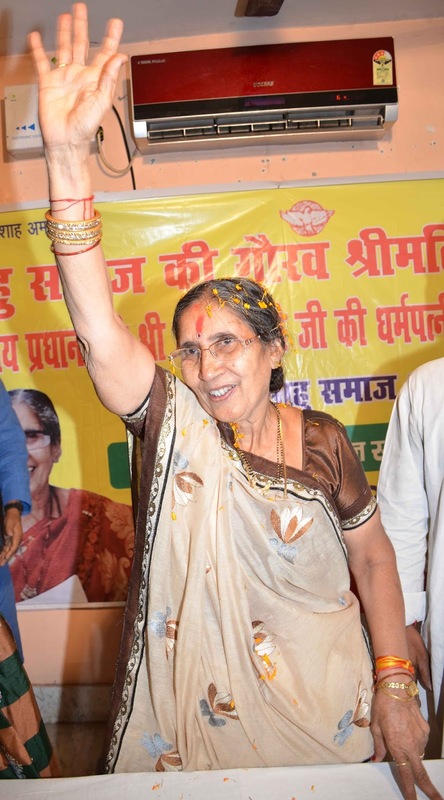 Patna: Bihar Tailiey Sahu Samaj felicitated Jashodaben, wife of Prime Minister Narendra Modi at a function organised at Sahu Samaj Bhavan here on Monday. 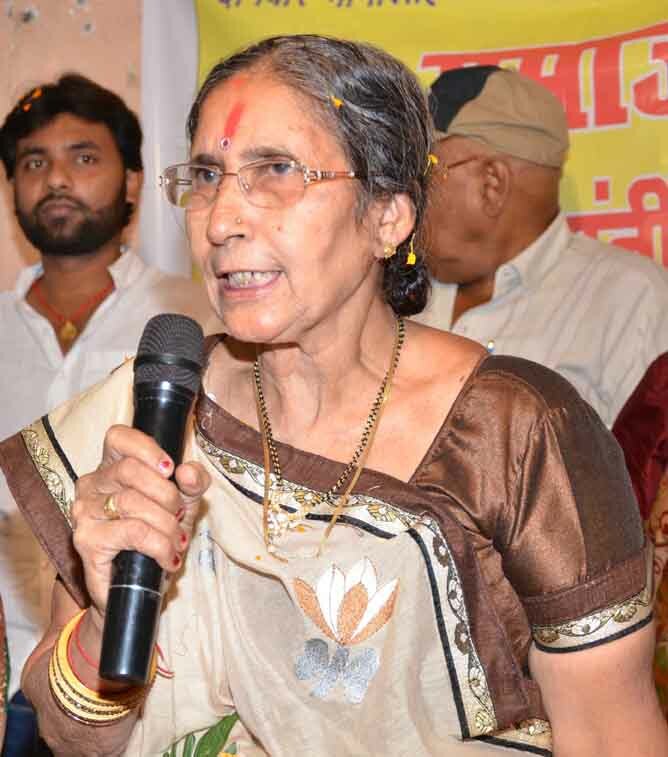 Speaking on the occasion Jashodaben advocated for Beti Bachao Beti Padhao (Save girl child, educate girl child) programme and urged the women of Sahu Samaj to participate in social activities with great zeal and enthusiasm. "Girls should come forward and take up the challenges for overall development of the society", she said. Earlier, Jashodaben paid obeisance at Takht Shree Harmandir Ji Sahib in Patna City where Granthi presented her a Siropa (scarf). 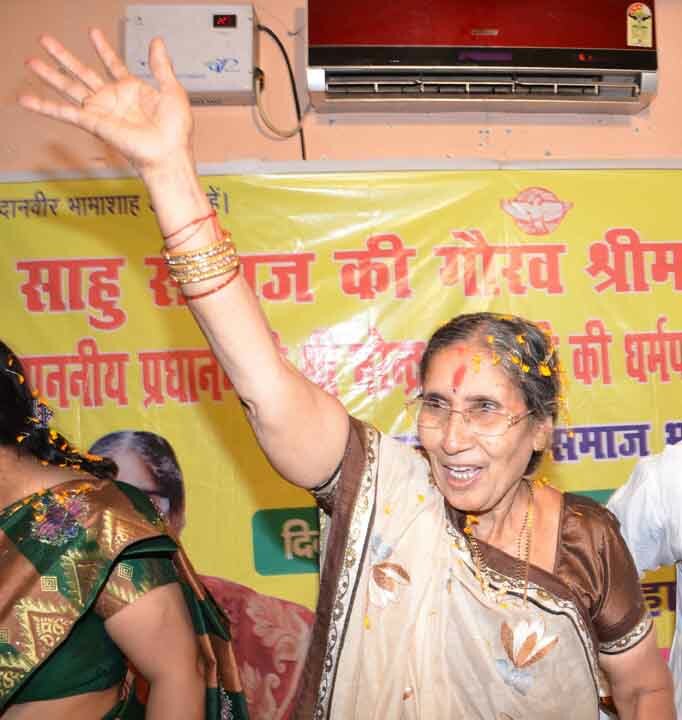 Jashodaben also offered prayers at Shakti Peeth Bari Patan Devi.